It is the inevitable mistake: doubting oneself. We ultimately limit ourselves, as a result. So, why on God’s green earth do we choose the route of underestimation? Have we found it easier to navigate life with this sort of course? Easier, as it may have perhaps become the habitual direction taken when life gets tough. Let me ask you this: has underestimating yourself made the trials you are currently facing any easier? 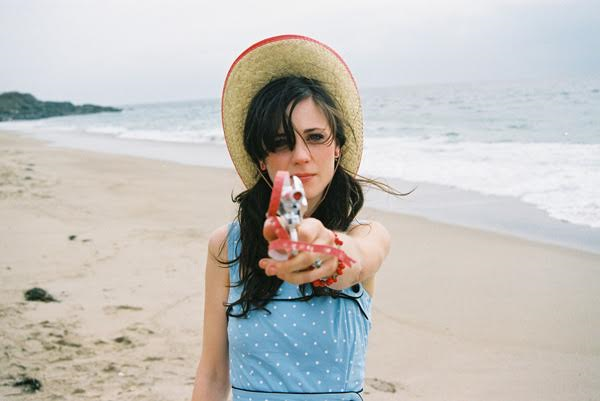 Actress Zooey Deschanel in the movie, The Go-Getter, 2007. I am in a city I do not know. With people, I still have yet to fully understand. Their ways and habits a bit peculiar to my own; a city air that, slowly but surely is becoming more desirable and like home to me. My initial reaction to this blatant disruption to my senses was, claro que si, (‘of course’.. for those not privy to Spanish), to retreat, back-the-flip-off of everyone and all things and lay low. The motto perhaps placing me in a paralyzing routine; one with no room to progress, but simply to reflect. True: those moments of reflection give way to a clearer state of mind for whatever we face. And then, you recognize the need to move. My then-thoughts and state of affairs had rendered me stagnant and stuck for quite some time, without even knowing it. So, what is the task? Be mindful of the limits we place on ourselves, those including and not limited to underestimating our abilities. The limits we place on ourselves can often times prevent any movement forward. Time spent in the same place is time wasted; time lost. I refuse to move in the same place as I did last year. Look the fear, the regret, the panic, the worry, the pain in the eye… and tell it to flee. This is our creed and manifesto. Eugenio Closs on Say Hello to the Crazy Cool Gals of the Sickest WebDesign Team!